Let’s face it there’s a lot of work that needs to be done in this city as it pertains to bikes, peds, transit, and cars. I want to challenge folks on this message board to submit one complaint a week for the rest of the year. They can range from missing stop signs, faded crosswalks, potholes, lack of bike racks, lack of bike lanes, illegal parking, motorists driving too fast, poorly designed streets, dangerous grates, dangerous intersections, unmaintained shoulders… the list goes on. Anyway, I want to make sure that 311 has no shortage of bike/ped issues to work on. The system seems to work for the most part, and things get done even if you have to followup 3 or 4 times. I recently 311ed about cars parked on the sidewalk of Greenfield Ave. A week later, they replied and said they were going patrol for cars parked on sidewalks, a couple weeks after that, I biked up the hill when there was only ONE car parked on the sidewalk (down from about 20). I can now safely bike up the hill on the sidewalk most days. The condition of the sidewalk is pretty lousy, but 311 told me the people who own the property are responsible for the sidewalk. If you are complaining about a hazardous sidewalk, you need to include an actual street address for the dangerous sidewalk. Most of the crappy sidewalks are in front of lots with billboards. Not sure what the address of a billboard is. Give me a Google maps location and I’ll check the county real estate records for the owner’s address and re-post the info. I suspect the whole process of giving them an address to getting a new sidewalk probably takes a decade anyway. This is to acknowledge that the City of Pittsburgh has entered your Service Request. We will inform you when this request has been completed. Thank you for allowing the City of Pittsburgh to serve you. The pavement on Forbes Avenue between Bigelow Boulevard and Craig Street in Oakland, ESPECIALLY right in front of the Carnegie Museum/Lecture Hall, is in TERRIBLE condition. Right now there is a square utility access that is recessed by easily four inches, by Bellefield Avenue. I ride my bicycle on that stretch of Forbes Avenue every day and it is a serious problem and safety hazard to me and other cyclists. The right two lanes, generally, are in great need of maintenance, apart from this and the other potholes–the pavement surface is VERY uneven. Please send a crew ASAP. I reported the grate gap & walnut zone in the Forbes/Homewood Cemetery lanes. Am hoping some other Park Place / Regent Square folks will do it, too. The bike lanes on Forbes Ave (inbound & outbound) are collecting debris again, notably walnuts along the Homewood Cemetery side. The previously reported Metal Cylinders of Peril that jut from the asphalt just before the Cemetery entrance at S. Dallas and the Stormdrain of Doom immediately after it, remain issues as well. Concern: The bike lanes on Forbes Ave (inbound & outbound) are collecting debris again, notably walnuts along the Homewood Cemetery side. The previously reported Metal Cylinders of Peril that jut from the asphalt just before the Cemetery entrance at S. Dallas and the Stormdrain of Doom immediately after it, remain issues as well. We have notified the appropriate personnel about this issue. Regarding the clearing of debris, the Service Request ID number associated with this request is 210348. Regarding the grate patching, the Service Request ID number associated with this request is 210357. Hey, we got the same numbers! Maybe something will actually happen?!?!? if you can’t call, there’s an online form ( http://www.city.pittsburgh.pa.us/mayor/html/311_request_form.html ). I’ve tried putting one through on street sweeping ARB, but I’m not sure if it worked, when I click submit all I get is an error page (“IE can’t display page”, it’s a .php page). I tried again in Firefox, it worked there. I just wrote to 311 to ask where are the new bike lanes. You should too. “Over the past year, we worked diligently with the City of Pittsburgh to plan for and design over 12 miles of new bike lanes that we have been waiting patiently to see installed. The City’s contractor was supposed to install these markings last week, but didn’t. We are on the edge of our seats because the end of painting season is fast approaching. Will we see these new bike lanes and sharrows go in before it’s too late? And will the City be able to get all 25 miles of new lanes in that the Mayor pledged by the end of next year? Stay tuned. Same Bike-Time, Same Bike-Channel. doesn’t/shouldn’t Bike Pittsburgh have a more direct channel to public works than 311? or is this a supplementary thing? But what do you do when the direct channel says “yea, yea, we’ll paint those next week!” for the past 7 months? Well, they have until Nov 2 to get it done, else mad cyclists will revolt in the voting booth citywide! We have a very direct channel, but 311 is actually a great way to assign a job # and responsibility to people to complete a specific task. 311 isn’t the greates for general inquiries/complaints, but is very good for specific things like filling potholes, removing debris, etc. Still, it’s great to get people putting bike-related items in the system. Is iburgh still a black hole for complaints? I sent two in via iburgh: a cracked step up the st. thomas steps by my house and daycare vehicles blocking fifth avenue sidewalk in uptown next to where the auto dealer, who everyone has griped about, wasn’t. I get a receipt when I submit via the 311 website, but nothing from the iburgh thingy. I’m not sure about iburgh. i stopped using it, but i did hear that they ironed out the technological wrinkles. I sent one in about josephine st, between salisbury and 27th specifically. I’ve had my hands come off the bars from hard bumps. At one point, I did get a notification when I submitted something through iBurgh, but haven’t received anything since. It also doesn’t let me use pics I take with the app. I take the pic, click on use this, but then it won’t move to the second step, so I just use the regular camera function and then select it from the library….that is when I bother to use it since it seems, yet again, useless. Hey, wow, look what I just got! >This is to inform you that the City of Pittsburgh has completed and closed your Service Request. This is RE walnuts & pothole around the grate next to the Homewood Cemetery entrance. I have not been able to go past it for a couple of days. I’ll probably be headed up Forbes tomorrow. I’ll be interested to see if they did anything about the Cylinders of Peril as well. The Cylinders of Peril remain perilous. The Stormdrain of Doom has been downgraded to “Still Probably a Bad Idea” status. They did patch the holes between the asphalt and the grate, so now if you hit it, you’d just have a bad bounce (it’s still set below street level and at an angle, and, you know, it’s on a grade…)–assuming you are going faster than I ever am by the time I reach it, whereas before it probably would have lept up, tossed you to the ground and kicked you for falling. No, I do not have an overactive imagination. Walnuts were gone, but the leaves are starting to pile up on the grates again. Heh. I submitted a 311 online, and never got an email confirmation or anything. Wondering if I should use a city resident address – are only residents allowed to use 311? I was under the impression that anyone can make a complaint. They’re spotty on responding, frankly. The first email you should get is sent automatically without human intervention. It’s unlikely their automatic system was intentionally set up to discard any requests before a person even sees them. Try calling them and see if they can search their 311 database using your name, phone number, or the problem location. My guess is your report is there, and it’s just an email problem. thanks Steven. It’d be easier at this point to just enter it in again, and see if I have better success. It did take me a few tries to get it to work. I checked spam filter first to see if that was it, no spam yet (miracle of miracles). 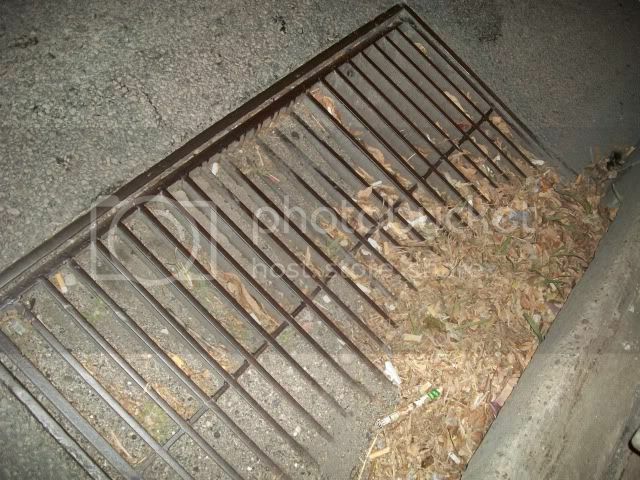 Just submitted the Railroad St manhole/drainage grate complaint. Also asked if a policy could be instated to 1. bring these types of things up to street grade any time a street is paved and 2. always install/replace bike-unfriendly grates with bike friendly designs. I hope to start a larger conversation with PWSA about this. right by the gas station/parking garage on e carson/station square – I’ve hit those 7 grates that are down lower than the rest before, and even though I saw it coming and anticipated them, it was still very unpleasant. 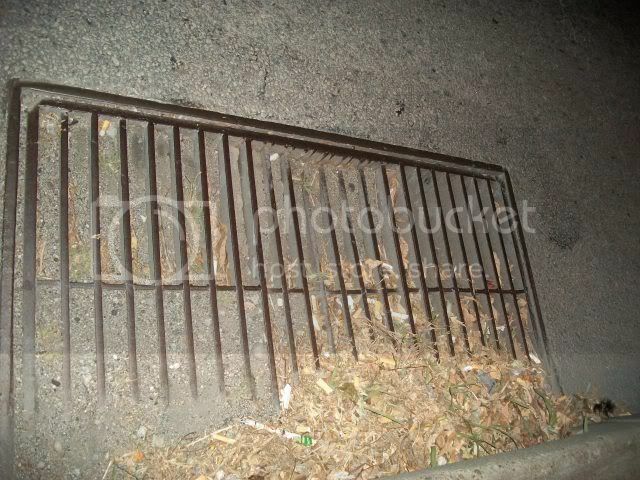 Imagine hitting that when it’s covered in snow, so you can’t see it and your hands/brakes/road/grates are wet and slippery. Ouch. And clean up the sidewalks of the Glenwood Bridge and Homestead-Grays bridges, too! Regarding my complaint (see 1 week ago) to the city’s 311 web system about glass on the 40th St Bridge sidewalk, I got an email that this is county-maintained. Is the county responsive to requests there? if anyone wants to join my complaint crusade to get cars off the sidewalk on black st, that would be awesome. I know enough people complained on main and fisk and it worked. people FLY on black and mossfield, and having cars parked in the street like they belong would maybe slow them down. but my main issue is that the cars are on the sidewalk and its a dangerous place to walk–so we NEED the sidewalk to be clear, not to mention there is no way to get around the cars if you are handicapped. also, how many times should i do this? once a day til it is taken care of? and even on the sidewalks, half of their mirrors are torn off. Caitlin, I think it isn’t so much 311, but what station is responsible for ticking those cars. There were cars parked on Greenfield Ave all summer. I eventually got tired of it, and filed a 311 complaint, only once. They replied after about a week or so that all three shifts would patrol for illegally parked cars, and the cars were all moved a couple weeks after that.